Apple has quietly pulled the original iPad mini from the Apple Online Store this week and removed other references of the tablet from its website, as noted by 9to5Mac. The nearly three-year-old iPad mini was announced in October 2012 as a smaller 7.9-inch version of the iPad, but the tablet has since been succeeded by the iPad mini 2 and iPad mini 3, the latter featuring a Retina display, Touch ID and 64-bit A7 processor. Apple dropped the price of the first-gen A5-based iPad mini to $299 in October 2013 and further discounted the tablet to $249 in October 2014, but the device was a hard sell given the iPad mini 2 starts at $299 with newer features. The original iPad mini remains available in the refurbished section of the Apple Online Store for between $209 and $409 depending on the specific model and storage capacity. 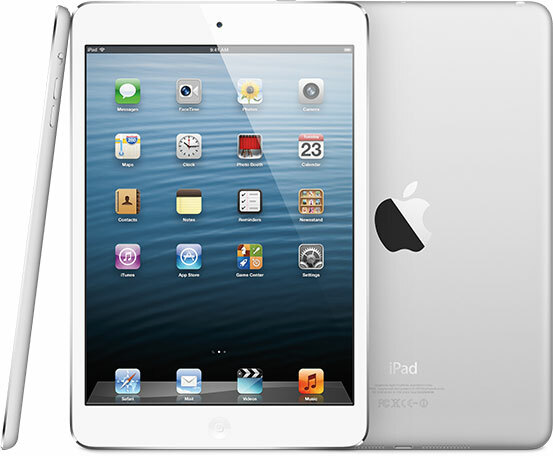 The original iPad mini remains available in limited quantities through authorized third-party resellers such as Amazon, although likely only until leftover stock is depleted. Apple's remaining tablet lineup for sale includes the iPad Air 2, iPad Air, iPad mini 3 and iPad mini 2, and the company is widely rumored to introduce a larger 12.9-inch "iPad Pro" targeted at professional users later this year. It's about time. They need to clear out the iPad Mini 2 as well, seeing as it is basically the same thing as the Mini 3, but without Touch ID and a gold color option. Apple has destroyed iPad Mini 1st gen with updates. I use mine for some serious stuff like fighting off flies, beer coaster and my favorite - support stand for my rMBP. Gj Apple. Are you nuts ? Have you seen the price differential between the mini2 and mini3 without only the TouchID different. Scrap the mini3 if you ask me and keep the mini2. In fact my mum bought a mini2 last week because why would you pay over €100 extra simply for a touch ID. Passcodes work fine. My 1st gen mini has been no better than a drink coaster since the release of iOS 8, when it became an unusably slow, only one year after purchase! I think they should make a 4GB version of this without the camera on the back, and sell it for $100 to enterprise. For use in point of sale systems, restaurant menus, showcases, and other such single-app uses. For those simple apps, where all resources can be dedicated to that one app and no multitasking, it is plenty fast enough, 16GB is overkill. A5 and 16gb memory are two things that should not be sold in 2015. They should have removed it when they took away the iPad 2. It is basically the same device (except it has a better microphone for Siri). You know it was around too long when it ran slow out of the box with iOS 8. Same with the iPod touch. no 2GB RAM, no buy. Simple as that.